The run-up to Priyanka Chopra and Nick Jonas' nuptials is turning out to be fun. Priyanka who is set to wed her fiance Nick Jonas next month threw herself quite the luxe bachelorette party in Amsterdam. 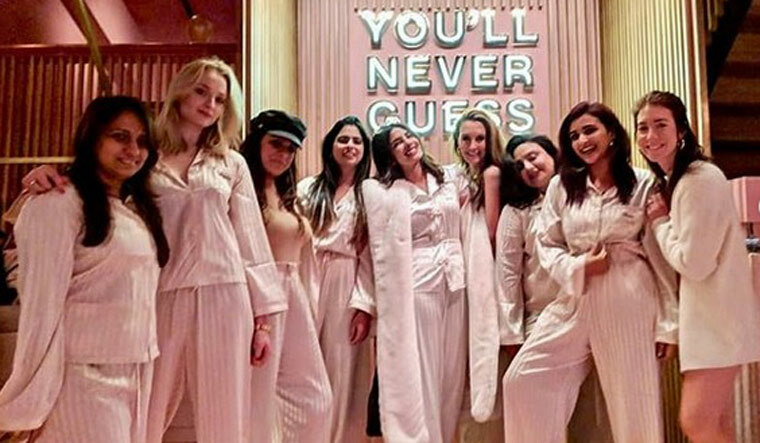 Her cousin in Bollywood, Parineeti Chopra who was seen celebrating with the bride and her soon to be sister-in-law Sophie Turner, posted a picture of the celebrations. Hiding the groom’s shoes is a fun part of weddings in some parts of India. The bridesmaids return the shoe to their brother-in-law for a token. The actor who had a fun-filled brouhaha with boat-rides, cocktail dos and luxe pyjama parties is back in Mumbai celebrating Diwali with her family. 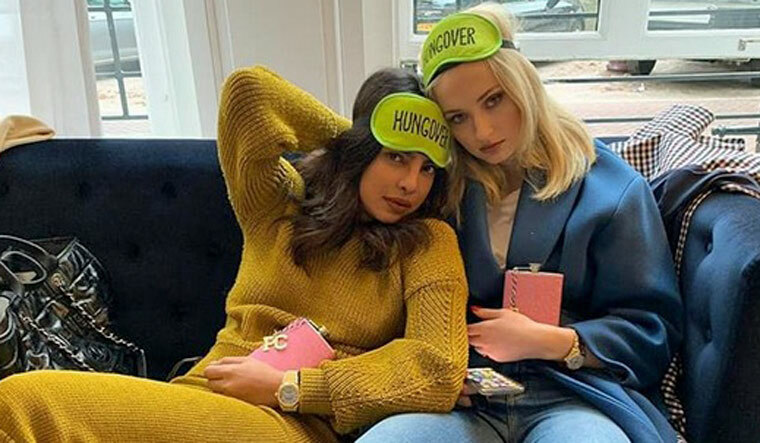 The celebrations seem to have brought Sophie and Priyanka closer. They have also taken to posting pictures on Instagram and calling themselves the 'J sisters'. Nick and Priyanka got engaged earlier this year, after which the couple had a traditional Indian roka ceremony in Mumbai.